Key's past employer, Merrill Lynch, did not come out of the financial crisis well, they were heavily involved in the mortgage based collateralised debt obligation (CDO) market and bought First Franklin Financial Corp, one of the largest subprime lenders in the US. When the value of CDOs collapsed, Merrill Lynch resorted to all manner of dodgy dealings to remain afloat; shifting funds, avoiding tax and dishonestly representing their financial position to investors. The company was sued for fraud by Rabobank, was fined $100 million for publishing misleading research and in 2007 had a suit brought against it for disregarding the civil rights of employees. To top it all Merrill Lynch received a $45 billion bailout from the US government and promptly spent $3.4 billion in bonuses to their top 14 executives, even though the company had lost $15 billion in the previous quarter. While there is no way John Key can be held responsible for the behaviour and management of his past employer, it still represents the business culture that he came from (and was obviously comfortable with) and there are so many parallels with the management style of his old firm and the way he has approached the governance of the country. We have seen a huge growth in the salaries of CEOs, a cutting of the taxes to the wealthy, over 3,000 jobs cut from the public sector (providing some credence to alleged nickname) and a constant stream of misleading information to support government initiatives from National Standards through to the funding of motorways. Banks, understandably, have also done well under Key and the government's main banker, Westpac New Zealand, is the highest performing section of Westpac and it returns billions of dividends to the Australian mothership and also provides the local CEO with an annual salary of over $5 million. Key's past wheeling and dealing and gambling in foreign currencies has enabled a high comfort level with gambling in general and making cosy back room deals. There is even a parallel with the sale of State Assets and the Government bailout of Merrill Lynch. Both involve using public funds to rectify poor financial management and the main sacrifice coming from those who deserved a better return from their taxes. In both cases much of the funds will end up supporting the salaries and lifestyles of those who created the crisis in the first place. 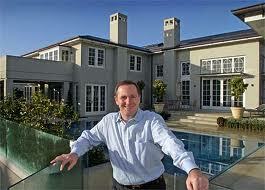 I think an adaption of the famous Shortland Street quote is appropriate here, "You're not in Merrill Lynch now, Mr Key!" And yet it's apparent that he is. Connect the dots with the Libor scandal as well Sprout. He had to know or be utterly incompetent where he was in the foreign exchange desk of the NY Fed. Very perceptive Dave Kennedy. Connecting the dots goes even further. He was also on the Security and Exchange Commission under the Federal Reserve Bank - I smell Rothschild stench. Almost like acting on a strategy formed during his Key's time in the US. And we have Jenny Shipley to thank.